The Aquarius man and Taurus woman work together as a team rather than showcase individual differences. They act upon each other’s strength and can achieve almost anything. 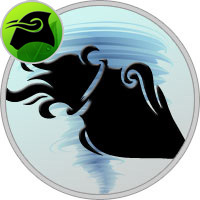 Taurus women like their lives to be well planned and adhere to planning and precession, whilst the Aquarius man is the exact opposite. The Aquarius man displays immense honesty and truthfulness in a relationship and enjoys taking it slow. Given that a Taurus woman expects the same level of honesty in her partner, the Aquarius man proves to be a fantastic match for the Taurus woman. A master of his own, the Aquarius man does not appreciate being told around and are only happy and fulfilled when they have the liberty to follow their own ways. He is also very relaxed in his approach to life and is easy going as opposed to the Taurus woman who is very uptight about certain aspects of life. The differences between the Aquarius man and Taurus woman seep into their personal lives as well because whilst the Taurus woman enjoys a laid back day at home, the Aquarius man wishes to spend the day outside. The Taurus woman considers love as a display of intimate emotions where as the Aquarius man looks at it as a means of satisfying his physical needs. This can cause severe conflict between the two as they both perceive love in two opposite ways. The Aquarius man and Taurus woman fail to see eye to eye on various important matters of day to day life. This causes trouble in the household and a difference of opinion in the most critical circumstances. Though every couple in a relationship face their due share of conflict, the Aquarius man and Taurus woman are unfortunate to deal with what is in store for them due to their contrasting opinions. However, all their differences should not deter the Aquarius man and Taurus woman to spend their lives together as once identified, these issues can be worked upon mutually with consideration and awareness of the same. If the Aquarius man learns to accept the compulsive nature of the Taurus woman and in return, if she learns to be relatively laid back and relaxed, chances of their success increase manifold.